The three approaches to reducing animal suffering are all important and are recognised by the Home Office as being vital to consider when granting a project license for animal experimentation. This means that if there is an appropriate alternative to using animals, then the license will not be granted. Reduction refers to an effort to decrease the number of animals used in animal testing, which ultimately reduces animal suffering because fewer animals will have the potential for pain. Reduction methods provide scientists with an equivalent amount of information from a comparable number of animals. Alternately, they may allow scientists to obtain more information from the same number of animals. Either way, fewer animals are used relative to the information obtained, meaning less animal suffering. Particularly where milder experiments occur, the same animal can sometimes receive multiple forms of testing. Replacement methods mean that an alternative is used wherever possible instead of a laboratory animal for testing purposes. Replacement methods are important because they still allow researchers to satisfy the experimental aims but without using animals for the experiment. This means that similar to reduction methods, less animal suffering will occur. Replacement methods can mean using cellular or computer models. For some types of testing such as cosmetics testing, it may mean only using human volunteers for testing. Refinement techniques directly influence the level of animal suffering that occurs in an experiment. These methods either minimise pain suffered by the animal or remove the pain entirely. A refinement method could involve administering anaesthetic to an animal or it might entail the provision of a pain reliever. It may even involve a milder procedure that is still respectful of the experimental aims of the laboratory experiment. At the root of most campaigns against animal testing is the belief that animals should not suffer. The strength of this belief varies, with some groups believing no animals should be used for any testing purposes at all while others cite that it is acceptable to use animals for biomedical testing but not for cosmetics testing. While the image is often painted quite differently, the overwhelming majority of scientists like animals and do not want them to suffer needlessly. 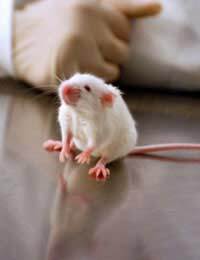 Virtually anyone involved in the industry will agree that any realistic means to reduce an animal's suffering during experimentation will be employed whenever possible. Therefore, there is a strong focus on using alternative methods whenever appropriate to reduce animal suffering. Unfortunately, this is simply not sufficient to appease those who believe animals should not be used for testing under any circumstances. For now, the controversy will continue but it is still hoped that the efforts to find additional ways to reduce animal suffering will continue well into the future. I am bombarded daily with email and regular mail showing videos and pictures of animals who are purposely bred so these labs can give them muscular dystrophy. These animals become completely paralyzed; they can't hold their head up, they can'tswallow so they are drooling 24/7, some can barely walk and I have seen some pictures showing dogs are skin and bones. They obviously can't eat if they can't swallow. They have to eat this gross liquid. I would like to know how many die on a daily basis. Get on the ball and use the alternatives for animal testing - they are out there. These labs must be too lazy to do what they have to do to stop using live animals. If after thirty years, these experiments have failed to offer a cure or an effective intervention for muscular dystrophy in humans, why is this practice still legal? I think this is a wonderful website full of amazing information about animal testing but i don't think animal testing should be legal. Animals lose their lives so you can test them its just silly so i would stop before the Police get called!! Clearly you support animal testing as long as it does not hurt animals. In which cases are the animals accidentally harmed?